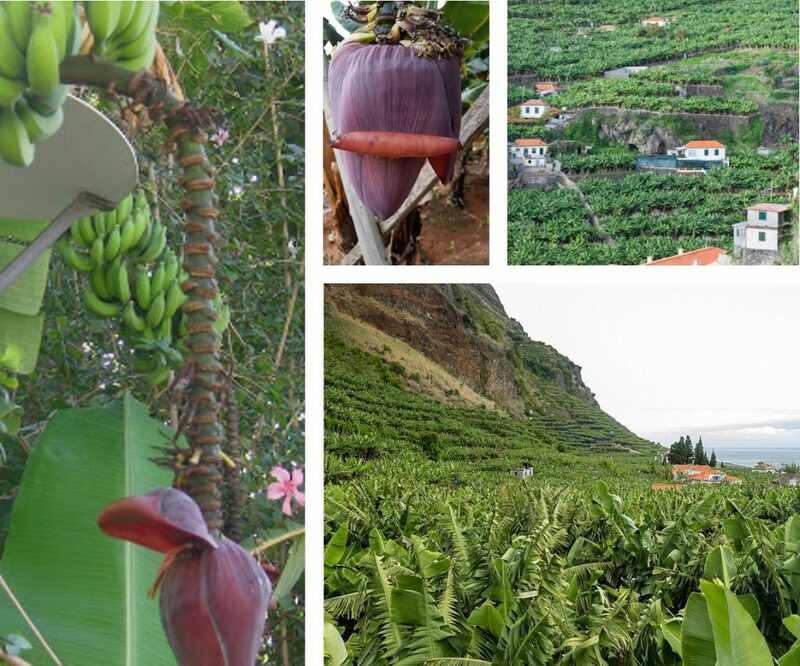 Banana cultivation is important to Madeira from an economic as well as landscape standpoint. A banana plant belongs to the herbaceous flowering plants. It is not a tree but rather a giant herb like plant. The part one could call stem or trunk is really a succession of leaves grown together in a tight sheath. 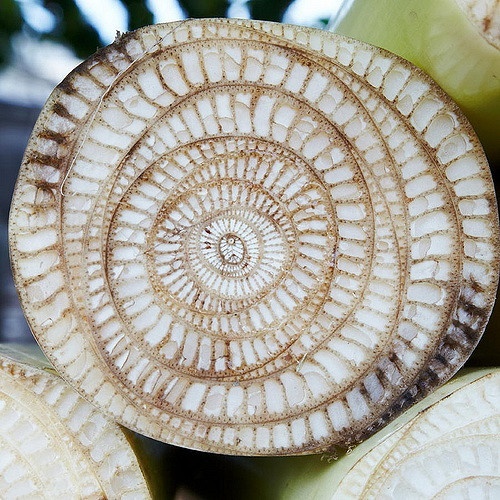 Specifically, the banana plant is the largest known plant without a woody trunk or stem. Madeira Bananas and the banana plantations are mostly on the south of the island. However, you will see banana plants all around the island. The first banana plants landed on Madeira in the 16th century as a botanical curiosity (1). 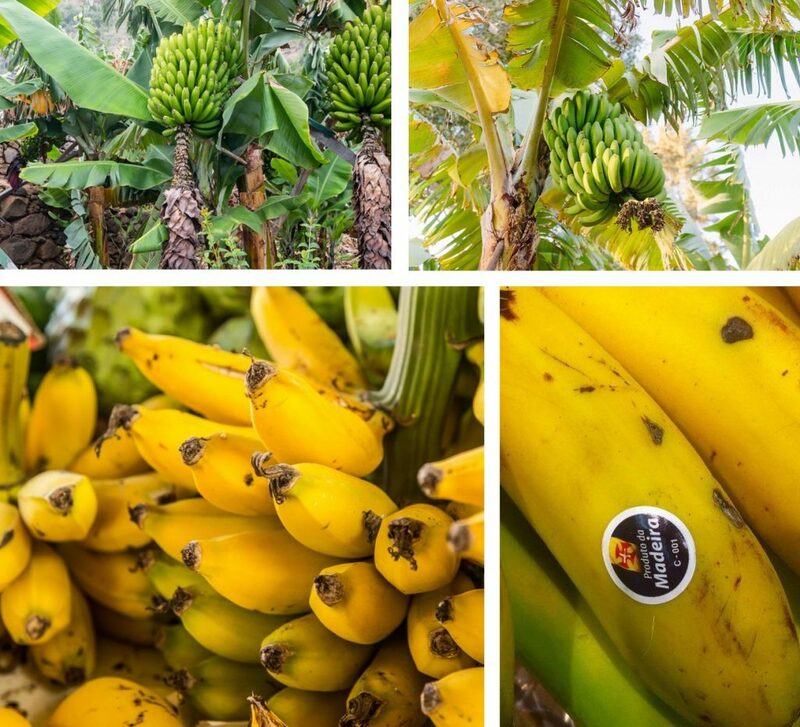 Later, “Dwarf Cavendish” is the first commercial banana species planted on Madeira in the mid-19th century. Today, that sort of banana represents 60% of the cultivated banana area on Madeira. Lastly, the other species are Robusta (32%), Grand Naine and Gal (8%). These were introduced on Madeira in 1993 (2). Madeira used to proudly export its bananas throughout Europe. Nevertheless, this is no longer the case. Sadly, islanders tell a story about a “Bendy Banana Law” by the European Union describing the attributes (length, curve, etc.) of a banana. Only bananas fulfilling all attributes can sell in Europe. However, Madeira bananas are mostly shorter. Hence, these can no longer be sold outside of Portugal. After an initial blow for Madeira’s banana sector, locals are proud of their smaller, sweeter and tastier bananas. Do try them while on Madeira, you will be surprised as to how good they actually are. Madeirans jokingly remind us that size does not matter. Furthermore, you will find bananas in main dishes such as Espada com banana and deserts. Madeira loves its bananas. That is a certainty. In fact, the Banana sector of Madeira even hired Cristiano Ronaldo’s mother to promote them. There is much more to the banana than meets the eye. Bananas have a complex biochemistry containing many active and pharmacological ingredients. Hence, a banana is a bit like a fruit practicing medicine without a license. Green Banana is Anti-Diarrhea. While still green, the starches containing in the banana reduce intestinal permeability. Hence, this in turn reduces fluid loss (1 & 2). Furthermore, a study reveals that it quickens recovery of diarrhea (3). Anti-Ulcer activity of the Banana. Banana powder seems to prevent ulcer formation induced by certain drugs among which: aspirin and antihistamine. 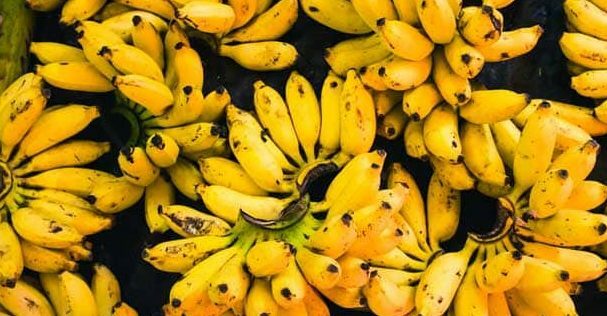 The banana powder strengthens the resistance of the mucus and promotes cellular proliferation Leucocyanidin – a banana compound is particularly effective against aspirin caused ulcers (4 & 5). Research shows that banana peel suppresses testosterone induced prostate gland growth (6). Banana consumption protects the skin against UV-B light damage. Furthermore, banana protects skin elasticity (7). Banana may have anti-diabetic properties in a type 1 diabetes according to a study (8). The banana flower extract is an antioxidant and lowers blood sugars levels. Similarly, banana roots extract seems to lower blood sugar levels as well (9). Furthermore, unripe bananas contain starches which are resistant to hydrolysis. Thus, these starches are beneficial to diabetics (10). Banana contains many different anti-infective compounds. These compounds are, to date, mainly used in India and Asia (11, 12, 13, 14 & 15). 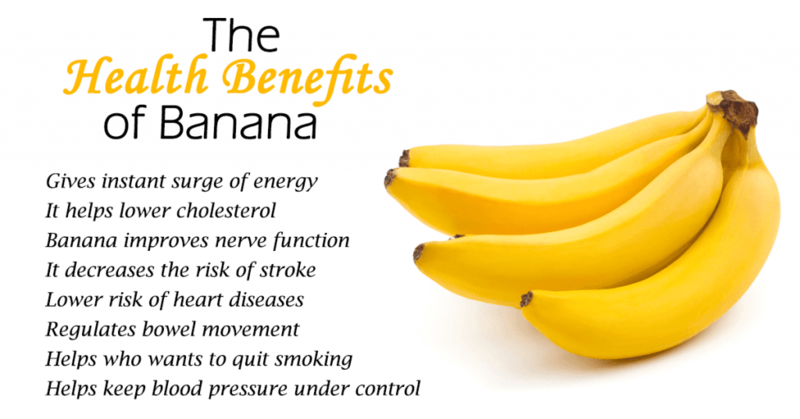 Banana can improve digestive health due to the elevated presence of dietary fibers. Banana consumption helps overcome depression due to high levels of tryptophan. These are converted by the body in serotonin which promotes a feel-good feeling (16). Bananas are famous for cramp protection due to their high potassium content. The high potassium content further helps lower blood pressure. Hence it protects against heart attacks and strokes. Furthermore, bananas are a natural antacid and relieve acidity and heartburn. Lastly, the inside of the banana peel is helpful to relieve the itching caused by an insect bite. Consequently, Madeira bananas are healthy. Lastly, do enjoy them! Ribeiro, L & A Silva, J & Aguiar, Antonio & Pestana, Margarida & Rodrigues, M. (2009). Main pests and diseases of bananas on Madeira Island. 123-132. Hence, Madeira bananas are undoubtedly Madeira Gold.